Shirin Eshghi is the new Head of Asian Library, holding past experience in librarianship with this branch. 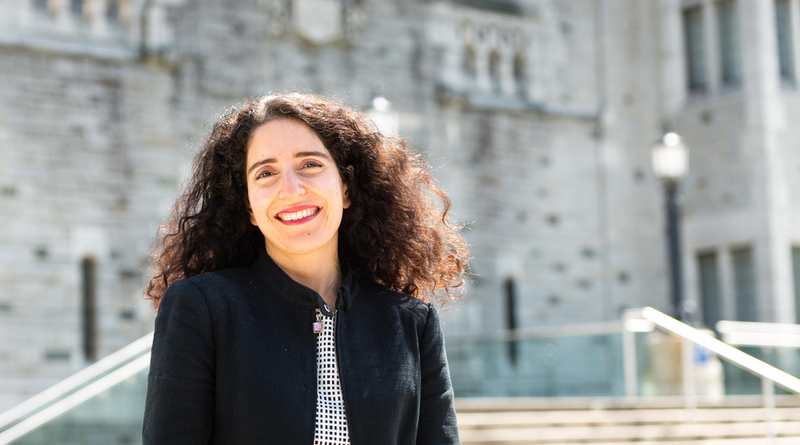 As a previous UBC graduate student, Shirin considers herself an advocate of the Asian Library, having benefitted from its resources during her studies. She brings a valuable perspective to her work, as her experiences as a prior student help to inform growth and development at this branch. Shirin was drawn to librarianship as a career because of an appreciation for a range of academic disciplines: her background is in Modern Japanese Literature. Shirin appreciates that in her new role she draws on a cultural studies perspective to frame her work. As Head of Asian Library, she has the opportunity to support and enhance research across different faculties. A key priority of her role moving forward will be to draw in an international perspective: Shirin will share the value of the Asian Library collections as it extends to a number of faculties and areas of research. 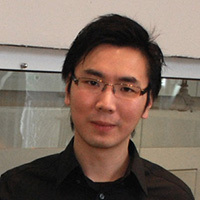 A lesser-known fact about Asian Library is the wide variety of scholars and researchers the branch supports, as well as the branch’s involvement in community events, digitization projects and teaching and learning at UBC. Some new programming to look out for in the fall at Asian Library will include an alumni supported bookclub, which will expand on the branch’s aspirational goals to support life-long learning and language learning. Another goal is to create a space at Asian Library for intercultural communication. Library culture is also a priority moving forward for Asian Library: staff are supported to grow in their roles and engage with the wider UBC community. A little known fact about Shirin is that she is a self-professed ‘trekkie’: she is a fan of the recent Star Trek movie, Star Trek Beyond, in particular the character of Commodore Paris, a military commander played by Persian actress Shohreh Aghdashloo. Shirin appreciates that the Star Trek series brings together different cultural communities in pursuit of a common goal, and develops strong, diverse female leads. You can find Shirin in her office at the Asian Library, or possibly catching a moment of calm in beautiful Nitobe Gardens, a favoured spot at UBC. 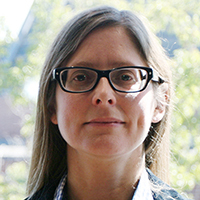 Changes to the scholarly publishing landscape have been significant and rapid – as a result, the work of librarians such as Lori Walter, Scholarly Communication Librarian at UBC Okanagan, has become essential for researcher and student success. With the launch of the innovative UBC Okanagan Writing and Research Centre and its embedded location along with the Centre for Scholarly Communication, Walter is focused on providing seamless service to the entire campus for writing, research and scholarly communication. Walter, who has a background in both scholarly communication and writing instruction, sees everyone at UBC Okanagan – undergraduate students, graduate students, post-doctorates, faculty and staff – as writers who participate in scholarly communication. Her role is to help this community of scholars through education, resources and direct support. Before coming to UBC Okanagan, she worked with faculty and graduate students in the Nursing Research Office at the University of Alberta, and was managing editor of the International Journal of Qualitative Methods. Walter has also taught writing courses at Mohawk College in Ontario and at the State University of New York at Buffalo. Navigating key areas of change will present exciting opportunities, as well as challenges, for the Writing and Research Centre and the Centre for Scholarly Communication. Scholars are met with new possibilities for the communication of their ideas as online and remote learning continue to grow; the drive for open access to publicly funded research increases; and the ability to use social media to disseminate research develops. The Writing and Research Centre and the Centre for Scholarly Communication offer one-on-one consultations, online resources and workshops to support excellence in academic communication. The teams will collaborate with their counterparts at UBC Vancouver, sharing resources and expertise. UBC Okanagan is a campus of The University of British Columbia situated in Kelowna, about 400 km east of Vancouver in the heart of the Okanagan Valley. UBC Okanagan is an intimate learning environment with an excellent library infrastructure. Visit the campus website for more information: http://ok.ubc.ca/welcome.html. Currently, there are approximately 8,000 UBC Okanagan undergraduate and graduate students and 400 faculties. Administratively, UBC Okanagan Library reports to the Provost & Vice-Principal, Academic. Additionally, UBC Okanagan Library’s collections are integrated with UBC Library and library staff contributes to activities of the UBC Library. For more information about UBC Library and the Okanagan campus Library, please visit www.library.ubc.ca and http://www.ubc.ca/okanagan/library/welcome.html. We are seeking an experienced librarian to be responsible for the daily operational management of the UBC Okanagan Campus Library. The Deputy Chief Librarian ensures that the development of library services and policies meet the needs of faculty and students. The Deputy Chief Librarian participates in the strategic and budgetary planning of the library as well as in the delivery of library services and represents the Chief Librarian as necessary. This position reports to and works closely with the Chief Librarian and collaborates with Okanagan Library staff, colleagues in other allied units, administrators and librarians as well as with librarians throughout the UBC Library system, with faculty, students and the public. The incumbent may be requested to act on behalf of the Chief Librarian. A detailed job description (Job ID 17866) can be viewed through on the UBC Careers website. A graduate degree from an ALA-accredited Library Science program is required. Further requirements include an established record of accomplishment as a librarian and manager; evidence of progressive responsibilities; proven ability to manage a diverse team; thorough knowledge of current trends and developments in library services; excellent oral, written and interpersonal communication skills; strong decision-making capability based on problem solving skills; excellent organizational skills in managing multiple projects and working under time constraints; sensitivity and diplomacy in dealing with human resources issues. This position will be filled as a full time ongoing position with a five year administrative term as Deputy Chief Librarian, Okanagan Campus Library (renewable). This position is governed by the Collective Agreement between UBC and the UBC Faculty Association; it is not an excluded position. If eligible and qualified, the successful applicant may be appointed with a confirmed appointment. Otherwise, there will be an initial three-year probationary appointment. Normally, such an appointment is reviewed by the end of the second year of appointment, and a recommendation is made at that time to grant or not to grant a confirmed appointment. Applications for this exciting opportunity are to include: a letter of application, including a statement of citizenship/immigration status, indicating the candidate’s education, training, and work experience in the areas listed above; and detailed and current curriculum vitae. For further inquiries, please contact Lois Marshall at lois.marshall@ubc.ca quoting Job ID 17866. To ensure full consideration, complete applications are to be submitted by midnight PST on Friday, April 11, 2014. UBC hires on the basis of merit and is strongly committed to equity and diversity within its community. We especially welcome applications from visible minority group members, women, Aboriginal persons, persons with disabilities, persons of minority sexual orientations and gender identities, and others with the skills and knowledge to productively engage with diverse communities. All qualified candidates are encouraged to apply; however, Canadians and permanent residents will be given priority. Faculty librarians at UBC Library often take on leadership roles, whether they involve serving on a working group, as the head of a Library unit or as part of the Library’s executive team. For Diana Ng, Learning Services Librarian at UBC Okanagan Library, the Minnesota Institute library leadership training program was a timely opportunity to develop fundamental expertise in leadership, organizational behavior and management. These skills will assist Ng as she pursues her career goal to enter into a managerial or supervisory role. The program is only offered every two years and is specifically geared to academic librarians from traditionally under-represented groups. Ng was one of two Canadians selected during her training term, which had a total of 25 participants. The Minnesota Institute brings together a network of diverse library professionals from the U.S. and Canada, and helps shape and define future career paths. 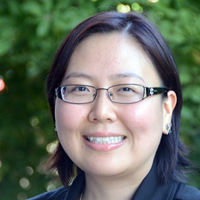 Ng aspires to make a positive contribution in her present position as Learning Services Librarian for the Southern Medical Program, and give back to UBC Library for the support she received in her professional development.